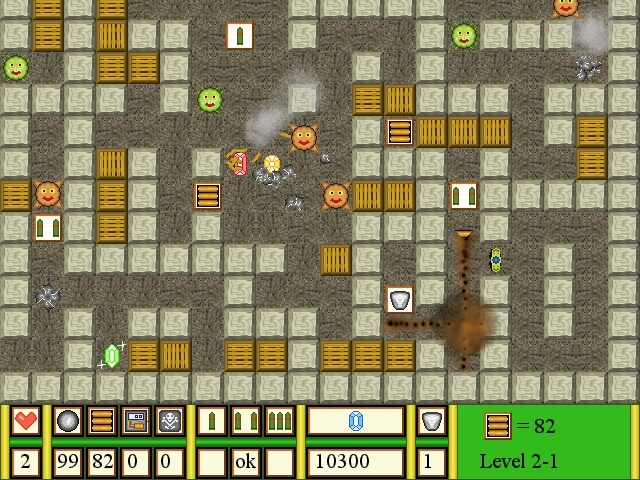 Flaming Splinter - Flaming Splinter is a remake of the classic..
Flaming Splinter is a remake of the classic game Bomberman. You control a special forces soldier - the Demolition man. Planting bombs on the field, you have to clear the territory of the obstacles and hostile beasts. There are several types of bombs which can be earned as bonuses. Some bonuses upgrade Demolition's abilities. Make it to the end to take down the Boss.